for the record is definitely one of the more unusual publications I’ve come across. 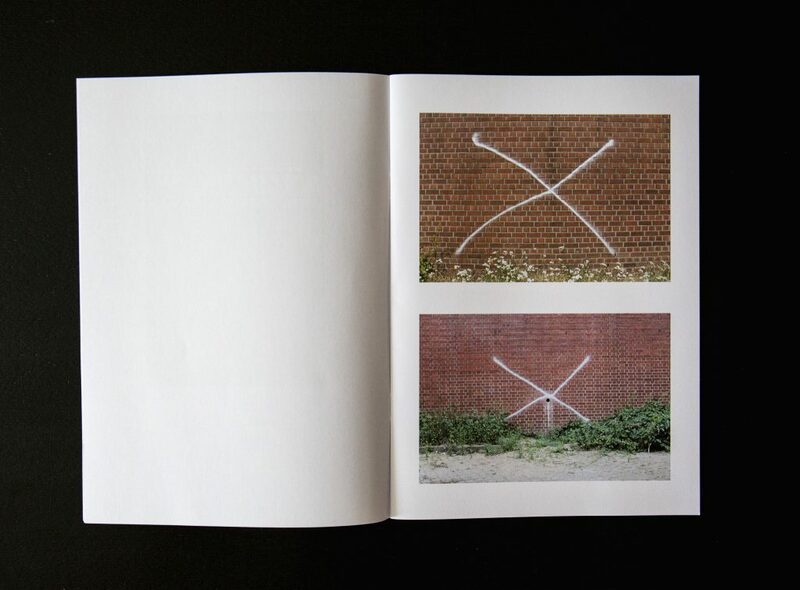 The zine documents, what I suppose could be called, ‘conceptual graffiti’. Rather than just observing the urban environment the artist abcdef acts as a kind of militant-flâneur whose photographs make a record of unconventional, often low-key, spray paint interventions. The short introduction to for the record points out that contemporary art has almost reached a point of saturation where nothing hasn’t already been tried. Museums are full of endlessly rehashed concepts. However urban spaces are alien to this gallery world that is currently embracing street-art as the latest ‘edgy’ commodity. In contrast abcdef comes from a background in graffiti and sets out to archive something different that is happening on the streets. The photography in his zines captures the unorthodox, and at times barely discernible, graffiti that jostles with the ever-changing visual white noise of modern living. For abcdef the photographic document is the most important part of the process. All graffiti is ephemeral by nature. 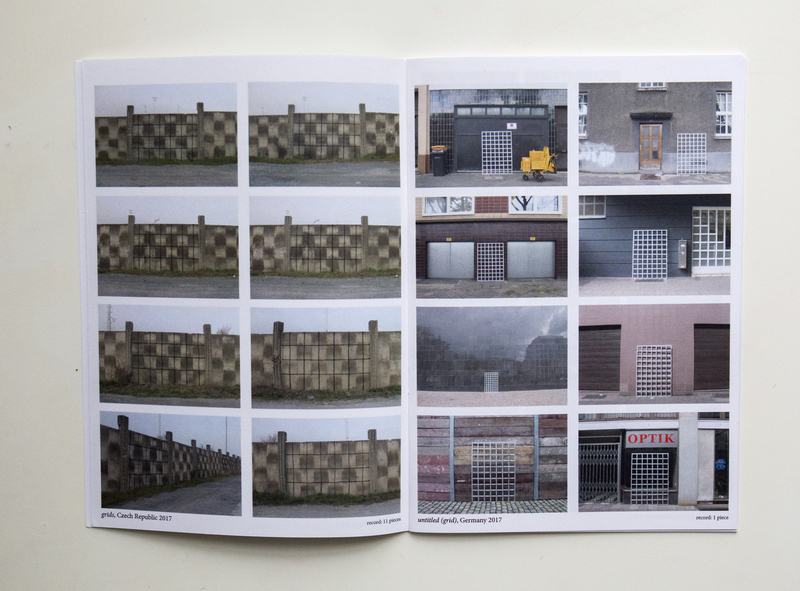 However, it’s not simply a case of documenting what may soon enough disappear, the work featured in for the record also makes more sense when it is viewed as a collection rather than single instances in the street. This is because lots of the content is fairly innocuous looking, perhaps even part of the ‘functional’ typography of urban space; numbers on a door, dots on the inside of a warehouse, or grids on walls. They become a more coherent body of work when they’re placed together in typologies. 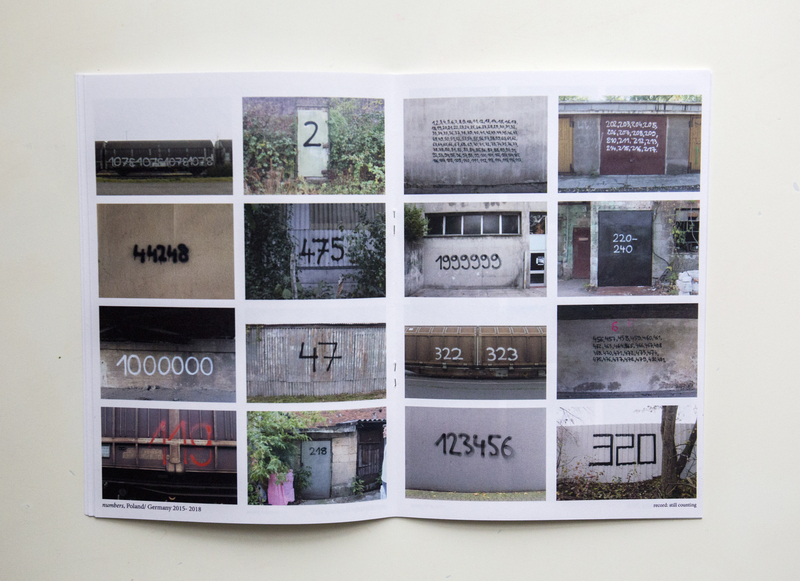 The numbers on a door sit alongside other numbers on freights, corrugated fences and various walls. 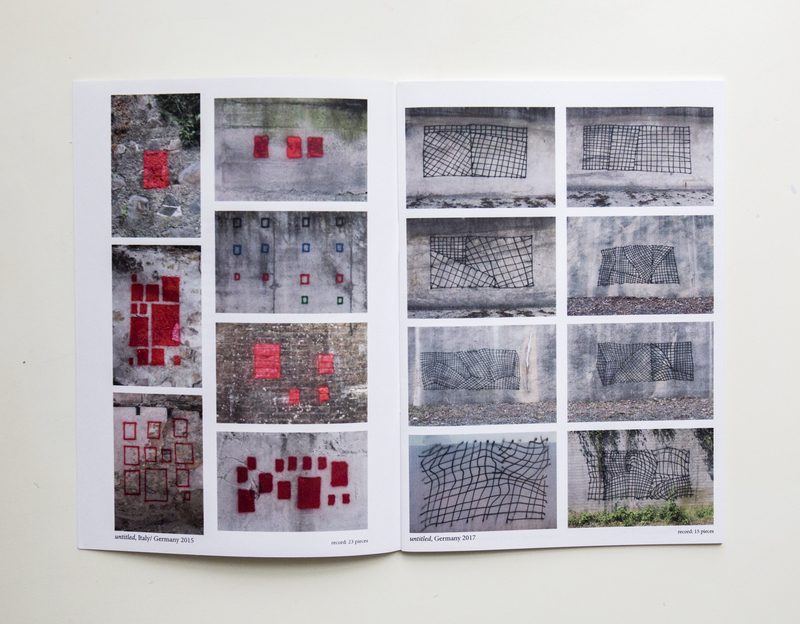 The pages of grids, which have been sprayed onto walls, are followed by a page showing a physical grid leaning up against a mix of buildings. The images aren’t all seemingly functional though as the content varies from letters that are recognisably graffiti to completely abstract pieces. Elsewhere there are pictures of messages or wall-musings. 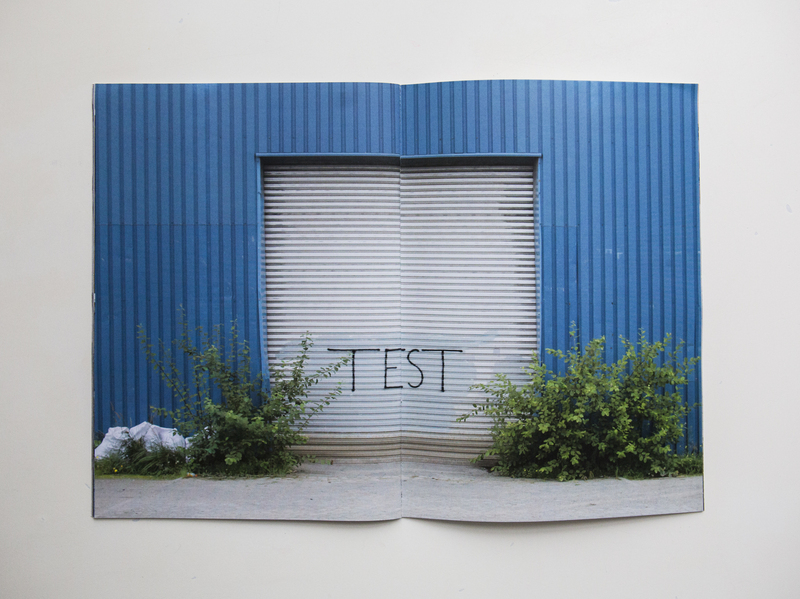 abcdef tells me that “this zine’s concept is to display a collection of very heterogeneous drawings in a pseudo-scientific way.” The more conventional side of the graffiti helps blend in all these diverse images. All the squares, or the odd shapes that are formed by single lines, or the crazy lines that form multi-coloured blocks, can be related to the standard graffiti lettering. Interestingly, in another one of his texts, abcdef uses the German word Blätter. Meaning sheets or pages, he explains the term was used “to highlight that each page of the zine consists of a photographic documentation of a drawing and a text.” In for the record the photographs themselves are displayed, on each page, in tight blocks all carefully taken to appear homogeneous. This method mimics the Becher school of photography with each image uniformly captured and displayed in grids. 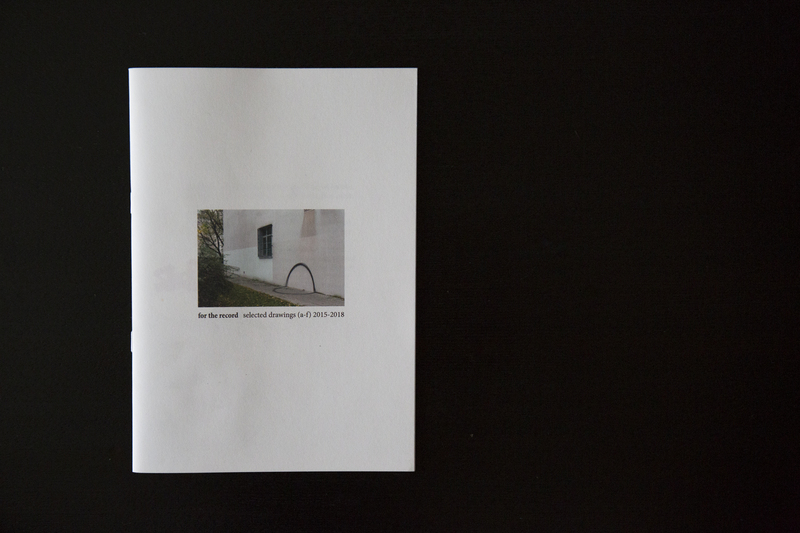 Not all abcdef’s zines have this mixed typology and he often focuses on just a single theme instead. 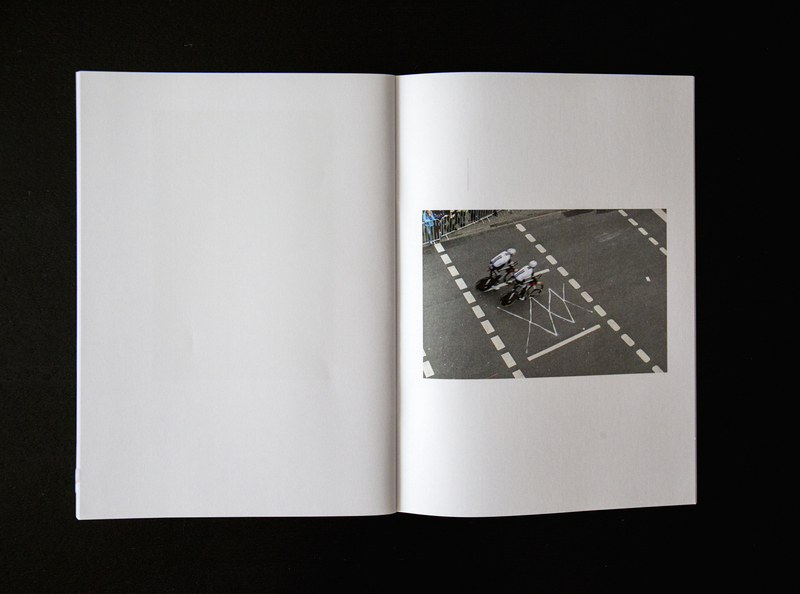 A personal favourite of his is the extremely minimalist back and forth zine which incorporates a seemingly endless line. When I asked abcdef about this he told me to “imagine a city with hundreds of writers, each abandoning his or her tag, only trying to represent trough horizontal sprayed lines. How amazing would this be!? !” The reoccuring choice of a largely chrome and black palette gives the work the glint of grotty graffiti that a conventional artist would most likely miss. 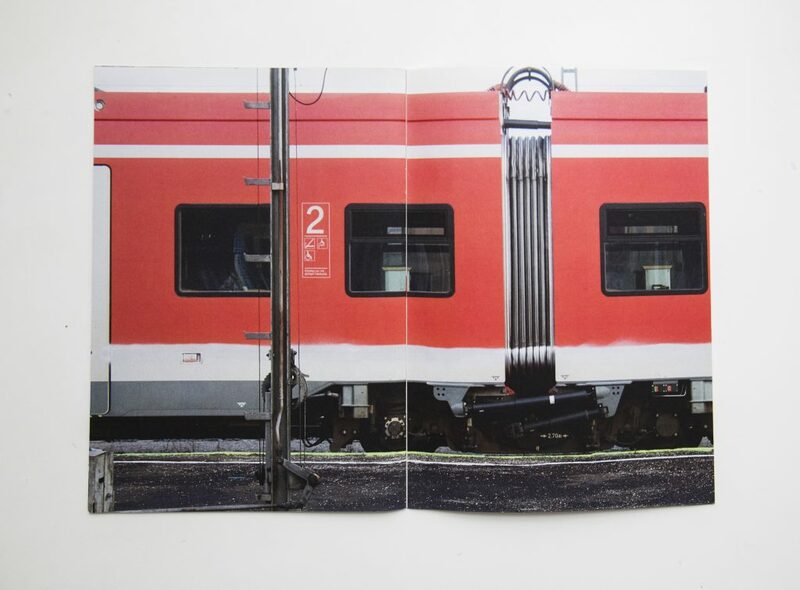 So in hacking art there are repeated chrome crosses on walls, freight trains and roads. 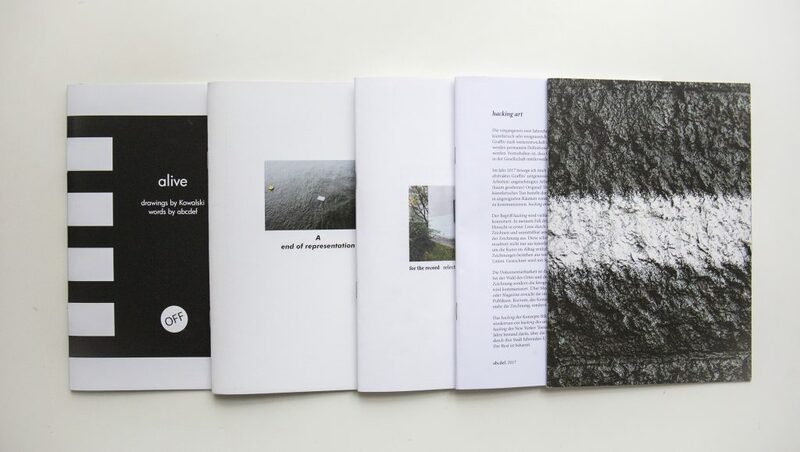 The alive zine, made in collaboration with Kowalski, has the nicest use of this technique. A barely noticeable black margin has been incorporated into the ornamental pillar of a building. Elsewhere chrome has been sprayed along the edges of concrete, stairs and handrails. These ‘interventions’ almost look as if they belong there but on closer inspection the chrome border is revealed as an unauthorised application.